Herradura Seleccion Suprema is a popular Liqueurs available from DrinkSupermarket.com in 70cl to buy online. Visit DrinkSupermarket.com for the best price for 70cl of Herradura Seleccion Suprema or compare prices on our other Liqueurs products. Distilled, aged and bottled in Mexico. Produced using only the finest estate grown agave, harvested at their optimal maturity of 10 years. Seleccion Suprema is cooked, fermented and distilled using traditional methods and aged for a minimum of 5 years in American white oak barrels. Herradura first released this tequila, held as their ultimate expression, in 1990, pioneering the recently established Extra Anejo category (2006). Seleccion Suprema has a pronounced nose immediately upon pouring. The initial aromas are honeyed roast agave, fruitcake and sweet wood spices. As it develops, vanilla, cedar and sweetened cocoa combine with the former offering an attractive, harmonious and complex character. The viscous palate focuses on sweetness and spice, while the incredibly long finish is highlighted by toast and oak. 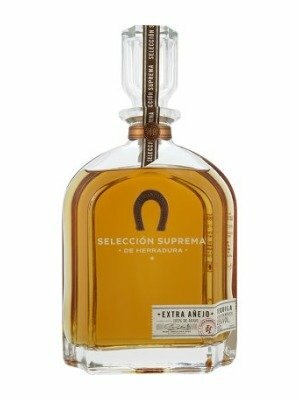 Where to buy Herradura Seleccion Suprema ? Herradura Seleccion Suprema Supermarkets & Stockists. You can buy Herradura Seleccion Suprema online in most retailers and find it in the Liqueurs aisle in supermarkets but we found the best deals online for Herradura Seleccion Suprema in DrinkSupermarket.com, Amazon.co.uk, Waitrose Cellar, and others. Compare the current price of Herradura Seleccion Suprema in 70cl size in the table of offers below. Simply click on the button to order Herradura Seleccion Suprema online now.